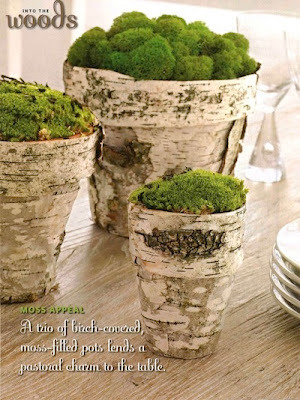 Last spring before Pinterest entered my life, I did a series of posts on using the birch theme and birch bark in decor. 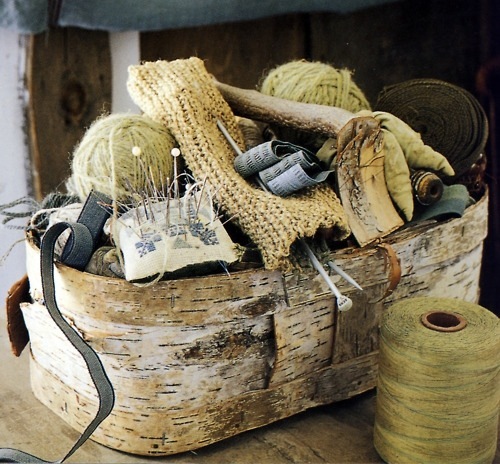 When I started pinning I create a board about birch and have been collecting new ideas there for awhile. Thought it was a good time to update my readers with the collection. 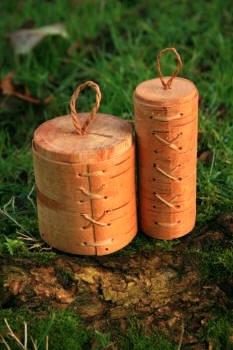 Today I'll share birch containers. 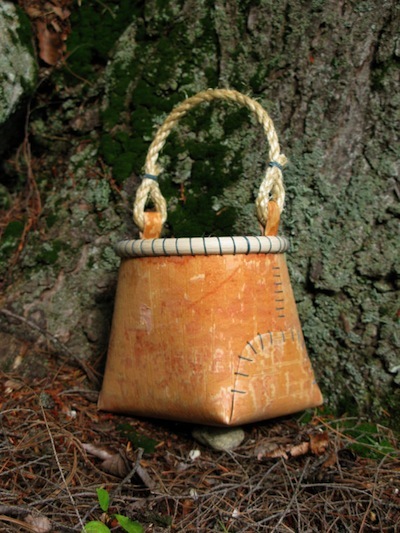 Here are a series using birch bark to create or cover containers. I have recently posted about the beauty of bright green moss on the table here but look at it in the following photo with it placed in pots covered with bark. There is a DIY tutorial in the links. There is also a tutorial at this site for this closed birch container below. You don't have to make your own. Here is a very pretty berry basket skillfully crafted from birch bark and available from Little Birch Farm on Etsy. Gets me thinking about birch again!